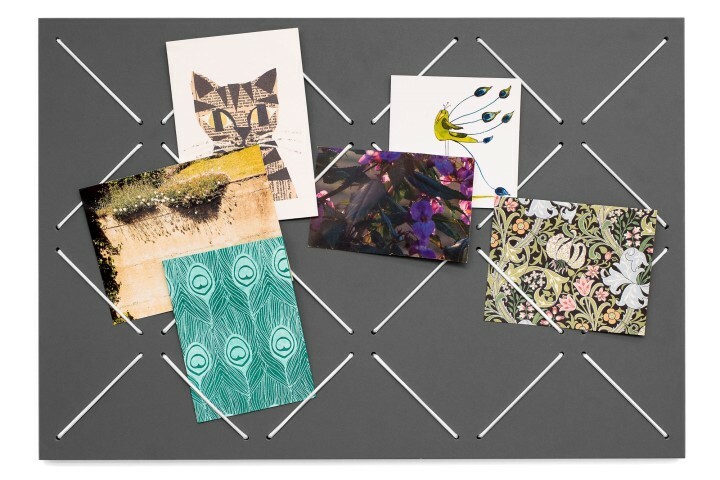 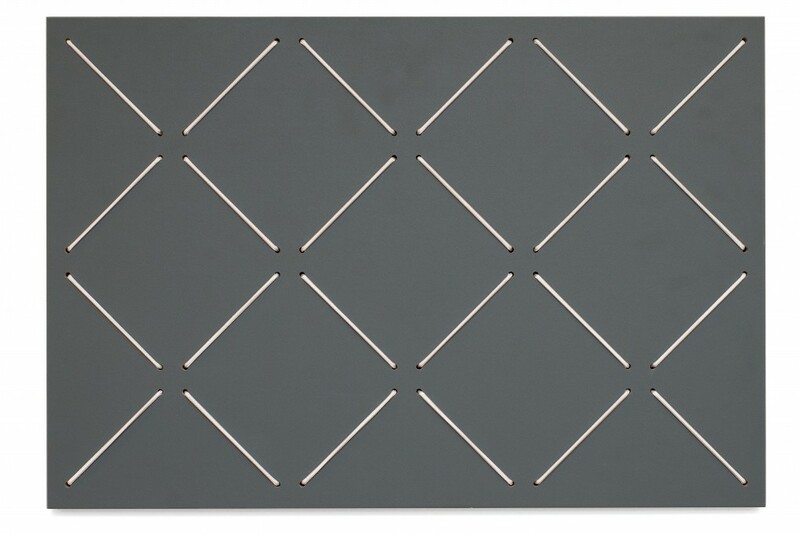 Our grey french memo board will create order out of chaos! 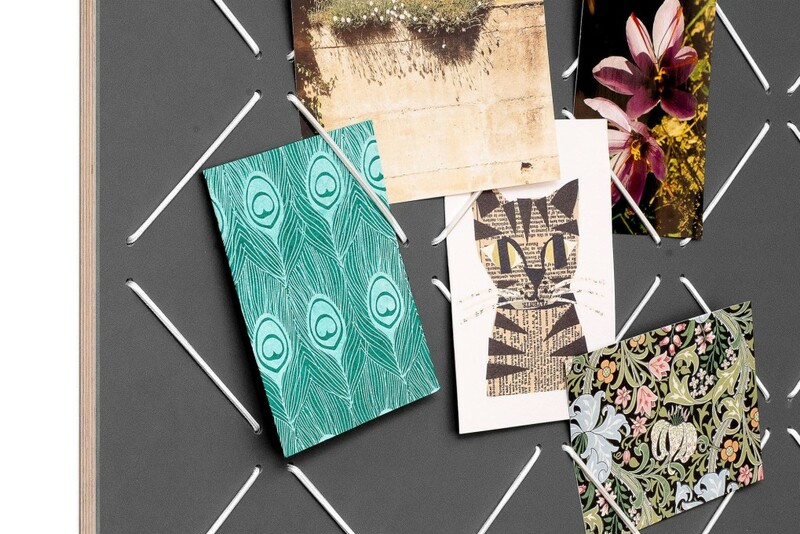 No more postcard/photo/ticket mishmash! 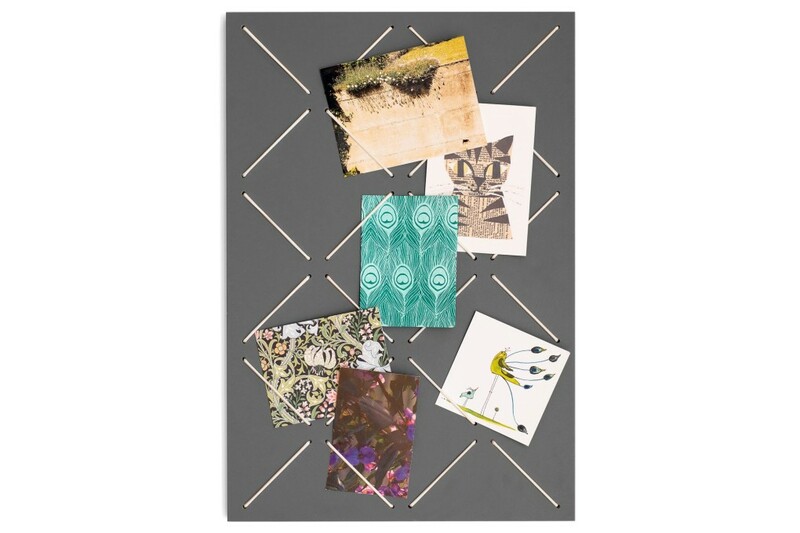 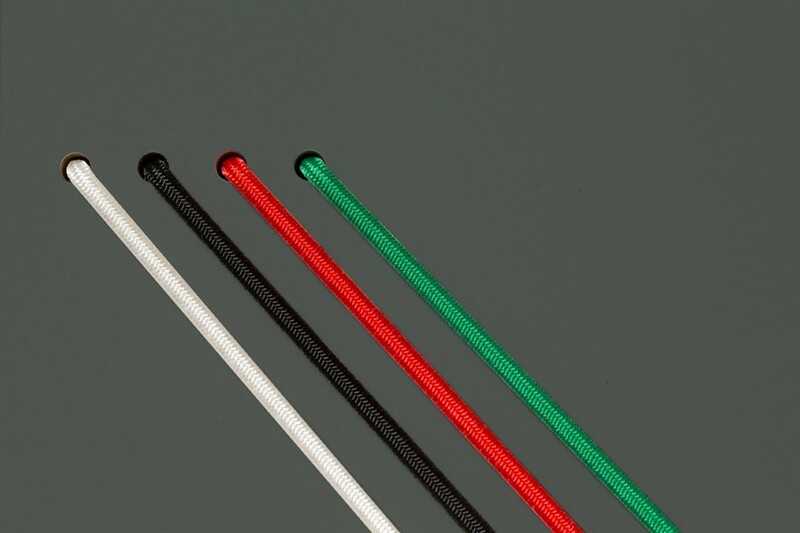 Just slip your keepsakes behind the coloured bands and enjoy your new wall decor! 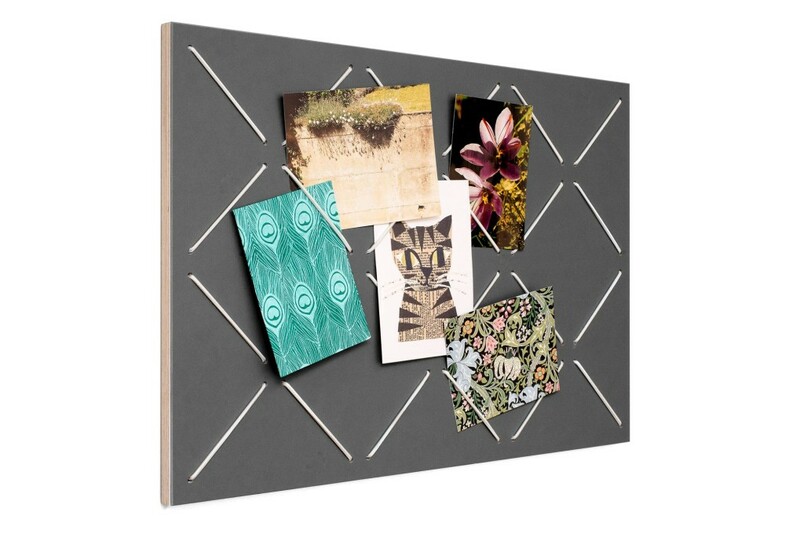 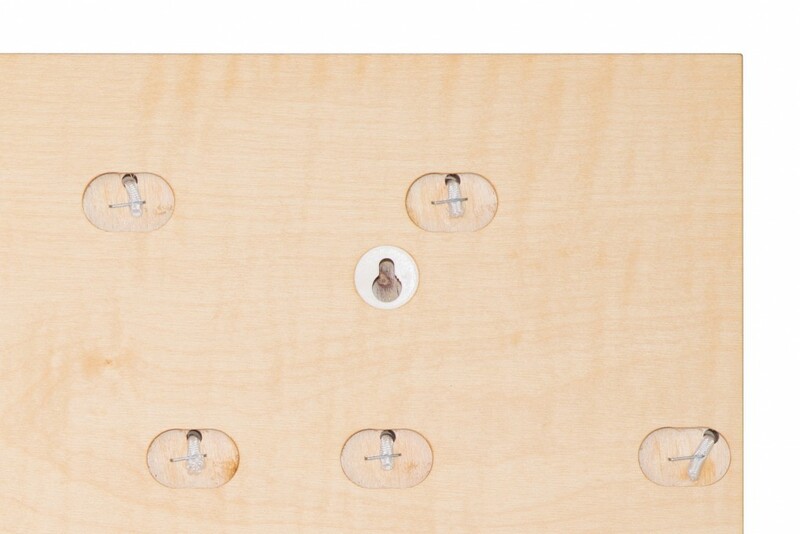 The french memo board can be hung either landscape or portrait with the help of two screws and dowels.